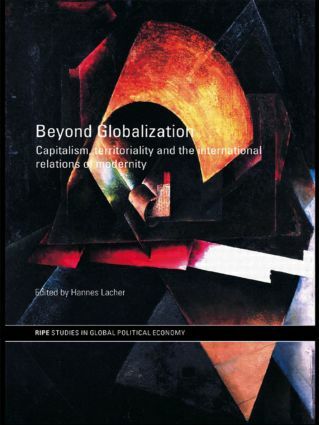 Hannes Lacher presents a new critical social theory of international relations that integrates sociology, history and political geography to understand the formation and development of modern international relations. Far from implying a return to state-centrist Realism, this essential new volume leads us towards a critical social theory of international relations that questions the prevailing conceptions of the modern international political economy as a collection of nationally bounded spaces more fundamentally than ever before. It also shows us that capitalist modernity itself was, from the beginning, characterized by the dualism of global economic integration and the fragmentation of political space, which actually stems from the divergent origins of capitalism and territorial sovereignty. This book will be of great interest to al students of historical sociology, political geography, international relations and political science. Introduction: from the International to the Global? 1. The Limits of Society: State-centrism and the International Relations of Modernity 2. Theorists of the Superstructure: From Gramsci to Althusser and Beyond 3. Historical Structures of Capitalism: Neo-Gramscian IPE 4. Beyond Base/ Superstructure: Renewing Historical Materialism 5. Third time right? 'Open Marxism' and the International System 6. Towards Modernity? Absolutism, Capitalism, and State Formation in Post-Feudal Europe 7. The International System of Ancien Regime 8. Incongruent Spaces: National States and Global Accumulation 9. Beyond the 'Territorial Trap': Towards a Historical Geography of Capitalist Modernity 10. Conclusions and Perspectives: The Demise of the Territorial State? Hannes Lacher is Associate Professor of International Relations at the Eastern Mediterranean University in Cyprus and currently a Visiting Professor at York University, Canada. For almost two decades now, the RIPE Series published by Routledge has been an essential forum for cutting-edge scholarship in International Political Economy. The series　brings together new and established scholars working in critical, cultural and constructivist political economy. Books in the RIPE Series typically combine an innovative contribution to theoretical debates with　rigorous empirical analysis. Accessible work that will inspire advanced undergraduates and graduate students in International Political Economy.